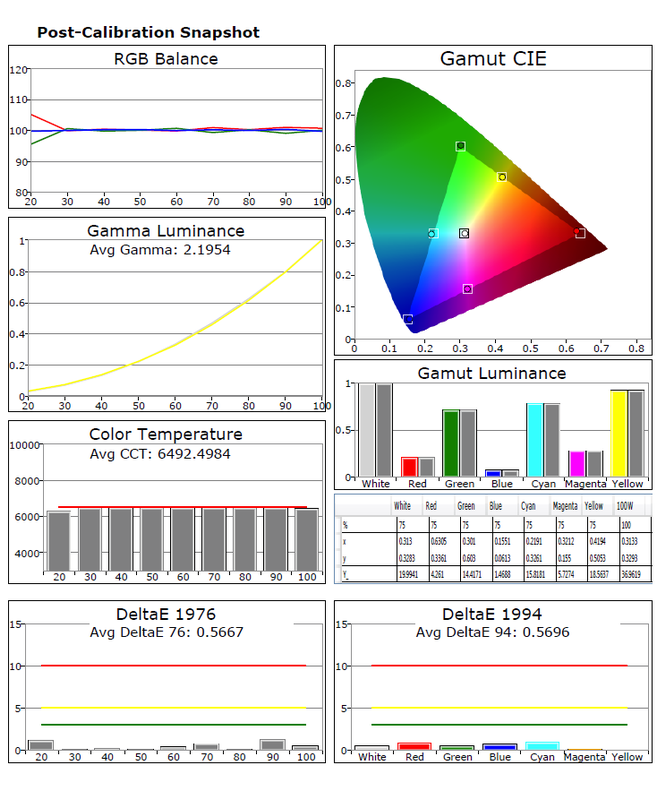 CalMAN Pro is color calibration software for the calibration of high definition televisions and other video displays, this calibration software represents a significant increase in functionality and flexibility from anything previously available. 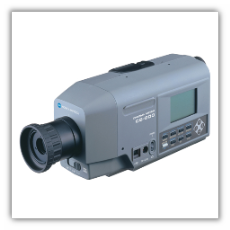 The CS-200 is designed to measure both luminance and chromaticity with high accuracy. It is an option that is easy to use and features a new auto mode for determining measurement speed according the luminance of the subject being measured. 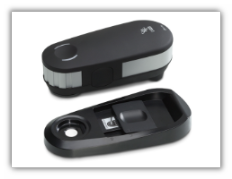 It can measure any light source over a wide range of luminance levels from 0.01 cd/m2 to 20,000,000 cd/m2. The selectable measuring angle feature enables the user to select the optimum angle of 1°, 0.2°, or 0.1° based on the application. 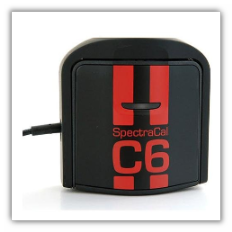 A high resolution spectroradiometer featuring 5nm spectral bandwidth and 1.6nm/pixel resolution. 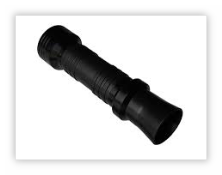 This probe is highly accurate and display agnostic allowing it to be used with all current and future display technologies including LCD, OLED, and projection. 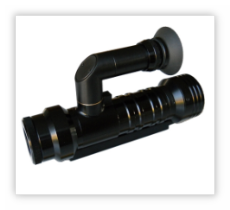 The CR-250 is compact and lightweight yet extremely durable thanks to its all metal machined aluminum construction. A spectroradiometer is the most accurate way to measure the grayscale on all display types- CRT, DLP, LCD, plasma, front or rear projection, and direct view, making an optical comparator unnecessary. It gives color temperature readings and also tells me how the red, blue, and green outputs track each other at different brightness levels so I can make them as linear as possible. It also measures the device's primary colors and gamma to see how accurately they match up with NTSC and HDTV standards. 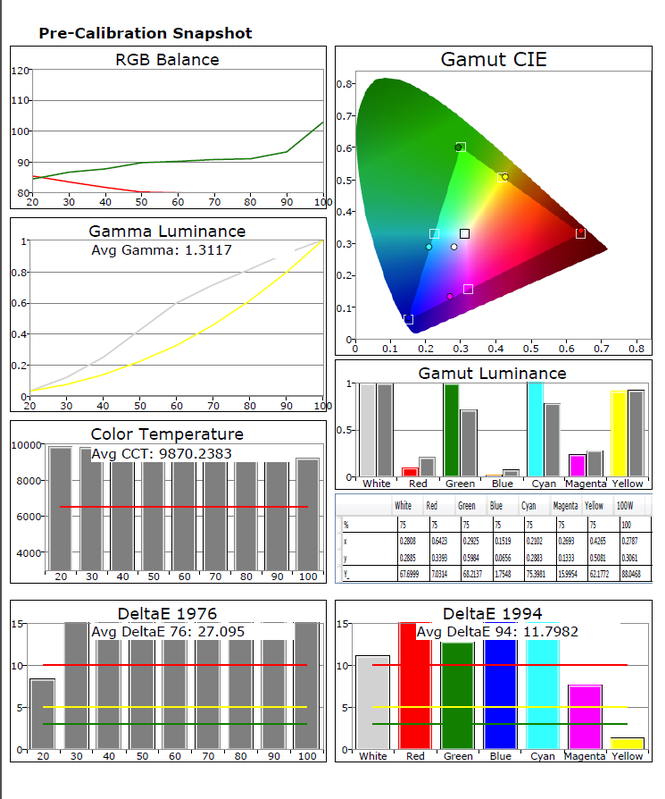 The next generation colorimeter delivers unrivaled color accuracy, repeatability, and device longevity. - supports all modern LCD display technologies including; CCFL, White LED, RGB LED, and Wide Gamut display technologies as well as projectors. The DVDO AVLab TPG is a pocket-sized test pattern generator supporting full 4K Ultra HD resolution at 50/60Hz as outlined in Version 2.0 of the HDMI specification. Designed specifically for use with Color Management System (CMS) software such as CalMAN™, the AVLab TPG is powered by USB and uses the USB interface to automatically control the video calibration workflow. It is the ultimate tool for AV professionals in the field to deliver lab-quality functionality to on-site display setup and calibration. The new VideoForge HDMI is faster, lighter, and more rugged than its predecessor, with a completely updated hardware body designed for durability. With the VideoForge HDMI's updated, more flexible software engine, users can now configure the internal patterns to fit their needs, or upload their own custom patterns. 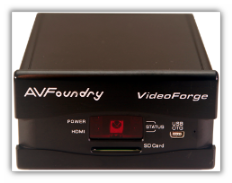 The VideoForge HDMI is also Wi-Fi capable, a feature entirely new to the VideoForge product-family. The VideoForge HDMI® digital video generator is a feature-rich, economical test pattern generator designed for field application convenience, but provides many features that have previously been available only in design and engineering bench-type generators. The VideoForge provides the HDMI® video signals you need for testing, calibrating and servicing video displays, including 3D displays. The VideoForge delivers high quality HDMI® video and RGB monitor signals with versatile 2D and 3D test patterns to give you confidence in your display testing and calibration. Various test DVDs are used to calibrate your entire video chain, from the Disc player to the display. Every video calibration gets a Before and After Report, so that you the customer has something for reference.